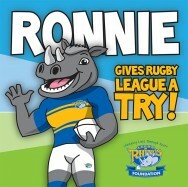 Ronnie Gives Rugby League a Try! Scratching Shed Publishing » Books » Categories » Sport » Ronnie Gives Rugby League a Try! Author: Leon Crick. Illustrations: Dave Bull. 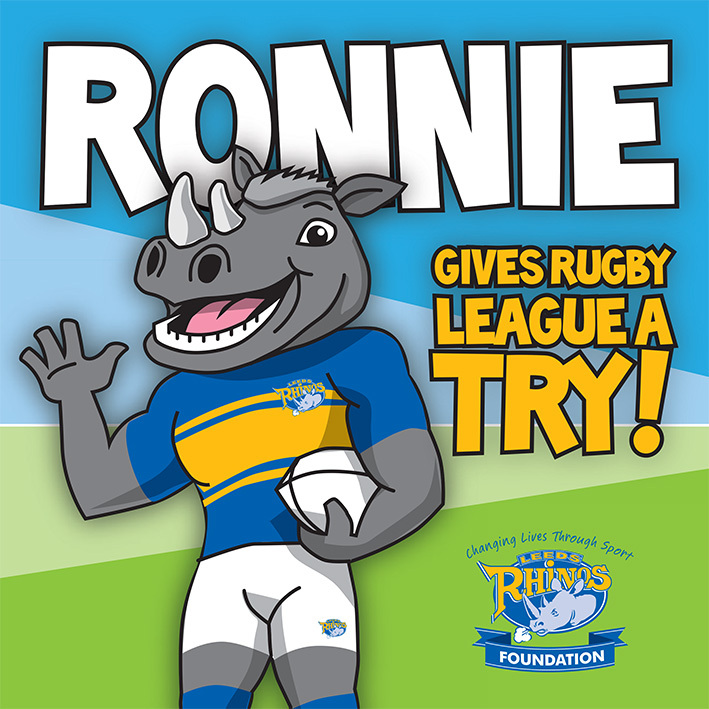 Learn to read with Ronnie the Rhino! RHINOS READING is a project launched by Leeds Rhinos Foundation that aims to support children’s literacy and introduce them to rugby league via stories featuring the superstars of the club – and this is the first book in the new series. Who better than the world's most famous rugby league mascot to launch it?